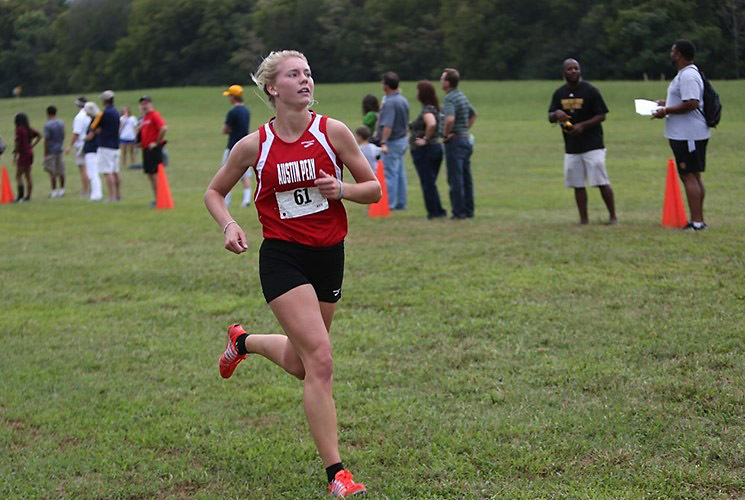 Murray, KY – The 2015 OVC Cross Country Championships may have been marred by threatening weather at the Miller Memorial Golf Course Saturday morning, but for the Austin Peay State University men’s and women’s cross country teams it was a morning of surprises. 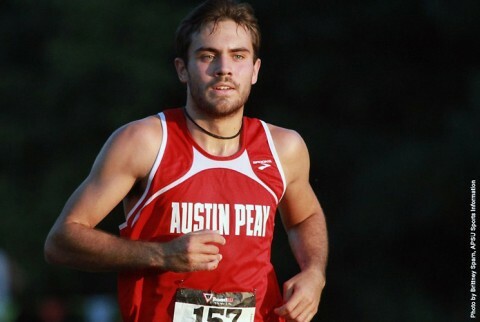 In the men’s 8K, Austin Peay finished eighth overall, defeating major OVC opponents Tennessee Tech, UT Martin, Jacksonville State and Tennessee State. Freshman runner Wesley Gray led the men’s side, finishing 31st out of 84 total runners with a time of 26:23.90. 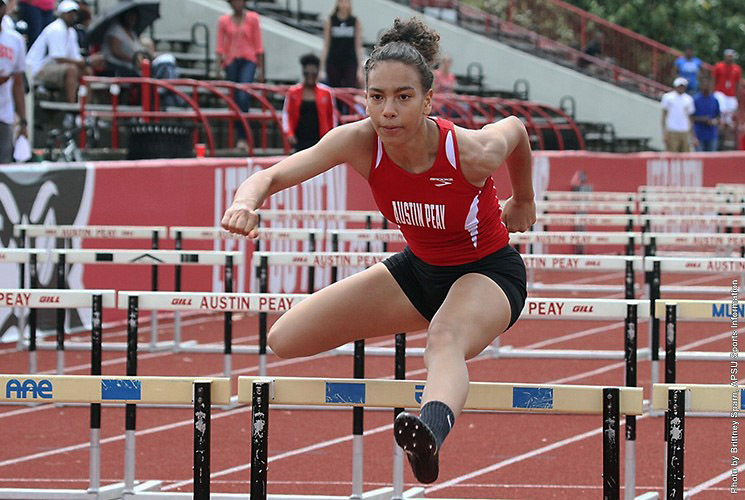 It is the first time this season Gray has led the Govs in back-to-back meets. 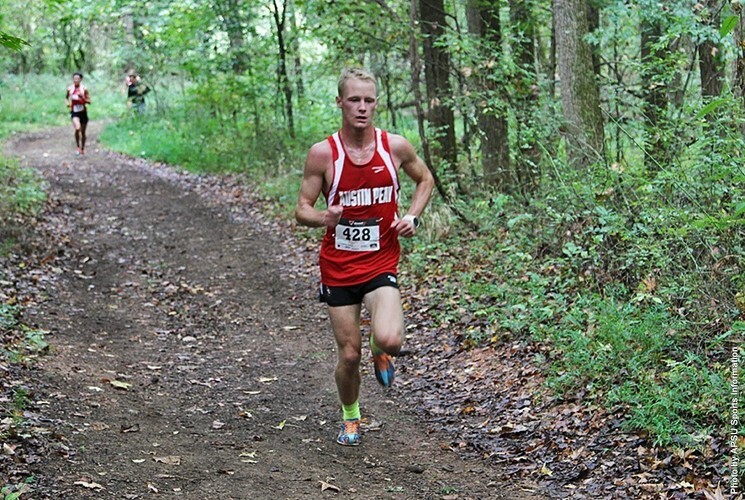 Richmond, VA – Austin Peay State University men’s and women’s cross country teams had impressive outings, Saturday, at Pole Green Park. Several of both squads younger members took the opportunity to stand out as ailments depleted both teams. Wesley Gray led the Govs and finished seventh overall in the men’s five-mile run with a time of 25:45.60, breaking the freshman record for the event. He led the Govs to a third-place finish in the meet. 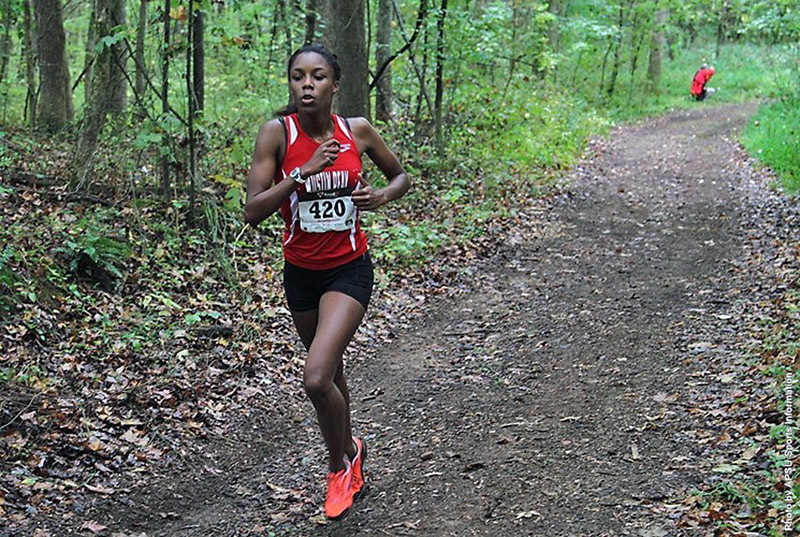 Clarksville, TN – A chilly, misting rain was not enough to slow down the Austin Peay State University men and women’s cross country teams at the Greater Louisville Classic, Saturday. Both squads competed against nearly 300 runners and more 30 teams in their respective Blue Race at E.P. “Tom” Sawyer State Park in by far one of the largest meets of the entire year. The women finished 26th overall out of 33 teams with 610 points. They faced off against OVC teams such as Tennessee Tech and defeated Tennessee State by a margin of more than 400 points. 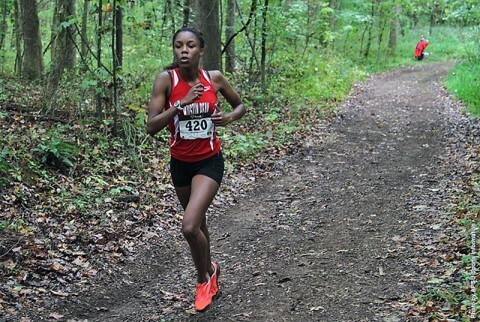 Clarksville, TN – The Austin Peay State University men’s and women’s cross country teams head to Louisville and E.P. “Tom” Sawyer State Park, Saturday to compete in one of the largest events of the year, the Greater Louisville Classic. The men’s team will kick things off at 10:45am against competitors from 38 different teams, while the women will square off at 11:30am against runners from 36 teams. Clarksville, TN – Austin Peay State University men and women’s cross country teams faced a difficult meet Friday at the Powerade Invitational. Despite having little rest after last Saturday’s meet, both teams came in prepared to run hard and achieved their objectives, with the men finishing third overall and the women’s team posting a fourth-place showing. On the men’s side, Martin Rejman (15:36.24) and Wesley Gray (15:51.96) both broke the 16 minute mark for the men’s 5K. 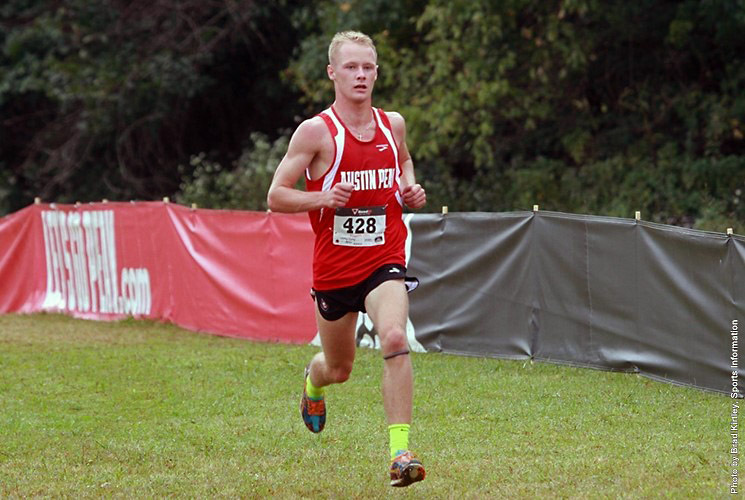 Rejman placed seventh overall out of 42 runners from six teams. Wesley came in close behind in ninth place. 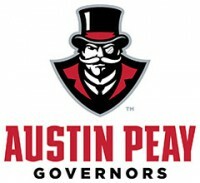 Clarksville, TN –Youth and injuries limited Austin Peay State University men’s and women’s cross country teams in 2014, but a year older, a year more experienced and healthy once again, the Govs an Lady Govs are ready to make a move up on the Ohio Valley Conference. 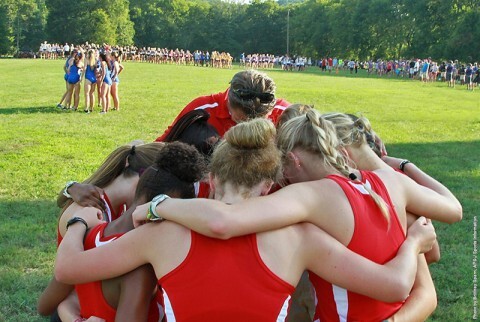 The Lady Govs finished in eighth place in the OVC championship in 2014, while the men finished ninth, and both enter the 2015 regular season picked ninth in the OVC pre-season poll, but the men’s team return eight of 10 runners from last season while the women’s team returns all seven runners from last season. Clarksville, TN – Austin Peay State University battled to the end of a rainy second day of competition at Saturday’s 2015 Ohio Valley Conference Outdoor Track and Field Championships, bulling its way into a third-place team finish at its home facility. 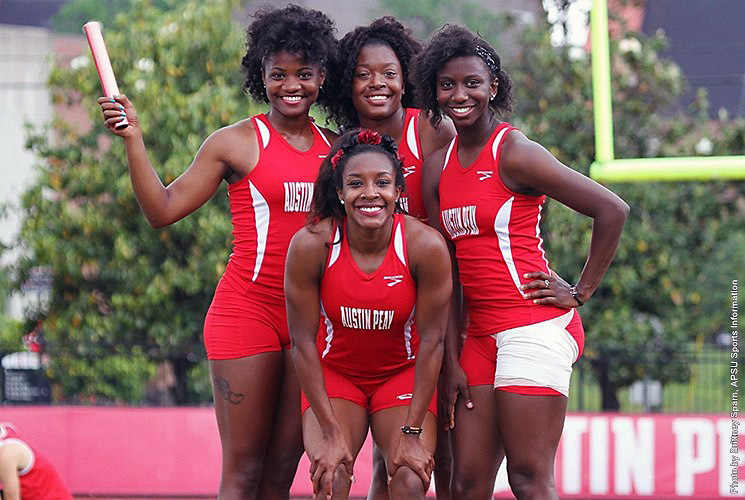 Clarksville, TN – Playing host for the first time since 2001, Austin Peay State University women’s track and field team will kick off the 2015 Ohio Valley Conference Outdoor Track and Field Championships, Friday, from Governors Stadium. 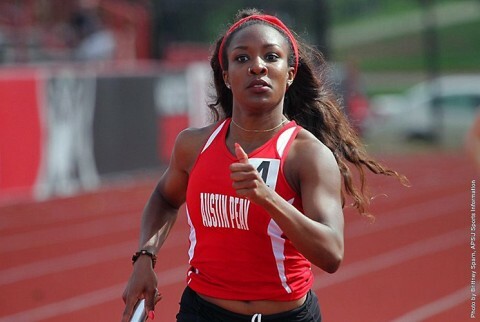 The two-day meet begins at 9:00am, Friday, with select events scheduled for competition at Edith Pettus Park. 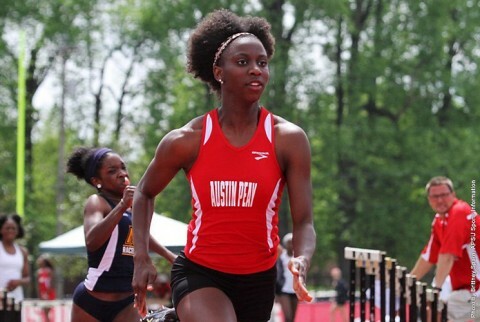 Memphis, TN – Returning to their hometown, Austin Peay State University runners Breigh Jones and Jessica Gray may have felt the pressure to perform at Saturday’s Memphis Tiger Invitational, held at the Billy J. Murphy Track Complex, but they sure didn’t show it. Clarksville, TN – Austin Peay State University track and field has one final tune-up this weekend before the Ohio Valley Conference Championships when it travels to the Memphis Tiger Invitational, May 2nd, at the Billy J. Murphy Track Complex.